Jonathan D. Andrews is a founding member of Andrews, Lagasse, Branch & Bell LLP and specializes in advising and representing employers in all aspects of labor and employment law, including harassment, discrimination, retaliation, wage and hour, breach of contract, and employee mobility/trade secret litigation and counseling. Andrews represents employers in state and federal court as well as matters before administrative agencies, such as the California Labor Commissioner, the California Department of Fair Employment and Housing and the Equal Employment Opportunity Commission. Andrews' counseling practice includes the development, drafting and review of personnel policies and advice concerning wage and hour issues, hiring/firing and performance-related personnel decisions, as well as comprehensive diversity, management and prohibitive harassment training. In 2008, Mr. Andrews was named to San Diego's "40 under 40" honor roll by the San Diego Metropolitan. This prestigious award recognizes the business accomplishments and community contributions of San Diego's brightest young business professionals, entrepreneurs, and civic leaders, all of whom are under 40 years of age. In 2010 and 2011, Andrews' peers selected him as one of the Top 50 Super Lawyers in San Diego and voted to include him on the 2009, 2010 and 2011 lists of San Diego Super Lawyers in the area of labor and employment, an award that recognizes the top 5 percent of San Diego attorneys. Also in 2010, Andrews was named a "Top Attorney" by The Daily Transcript in the area of labor and employment law. 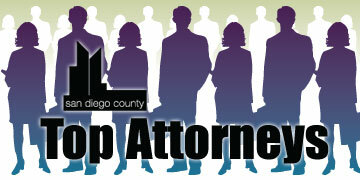 He was one of only 11 attorneys in his practice area selected by the San Diego legal community to receive this honor. Andrews has been a speaker for Lorman Education Services regarding employee mobility/non-compete issues, as well as an instructor of personnel law for the Greater San Diego Employers Association in its certificate program for working professionals in human resources. Before founding Andrews, Lagasse, Branch & Bell LLP, he was a partner with one of California's largest law firms, practicing in its employment group department from 2003 to 2007, where he oversaw the San Diego office's pro bono, mentor and diversity programs. 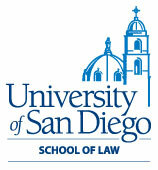 In 2002, Andrews received the Wiley W. Manuel Pro Bono Services Award for services performed for the San Diego Legal Aid Society. He has been a proud member of the San Diego County Big Brother/Little Brother program for more than six years and is a current member of the Big Brothers Big Sisters of San Diego County board of directors.